No longer just your last-minute source for exfoliating body scrubs when you forgot mom's birthday, Origin Natural Food's a coffee shop letting you chow down conveniently thanks to a lineup of daily-made, refrigerated meals that you heat up yourself on-premises. 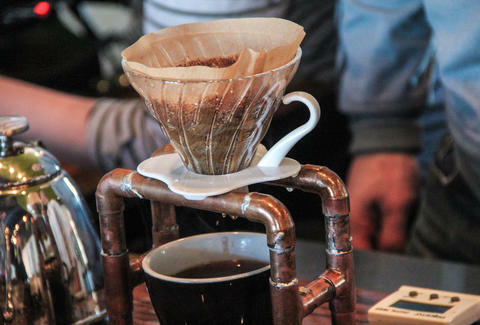 Like most of Dallas's hipsters, their coffee beans're roasted in Oak Cliff, and they're using techniques like the above-pictured V60 single cup coffee. 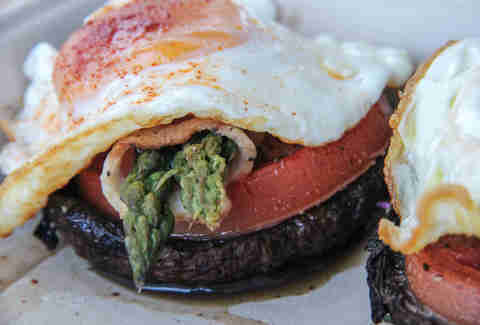 For a morning meal, Darwin would naturally select the Origin Breakfast, with portabella caps under bacon-wrapped asparagus & a Vital Farms fried egg, or hit the skillet eggs studded w/ zucchini and squash. 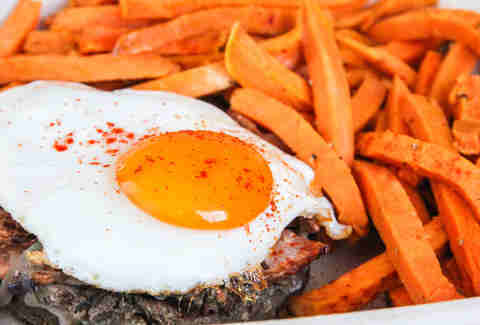 For later in the day there's this bun-less Origin Burger (grass-fed beef, bacon & fried egg sided with sweet potato fries), pesto-stuffed Windy Meadows chicken, or flown-in daily line-caught salmon crusted with pumpkin, also what your mom still calls you even though you got her a Citrus Scent-Sations gift set for the third straight year.